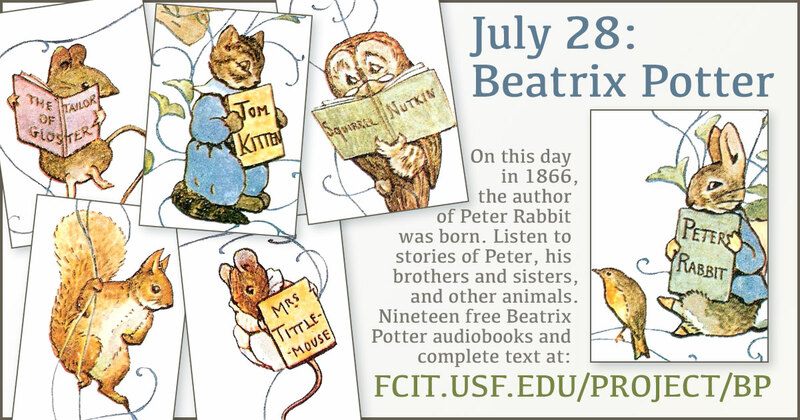 On this day in 1866, the author of Peter Rabbit and other beloved children’s tales was born. 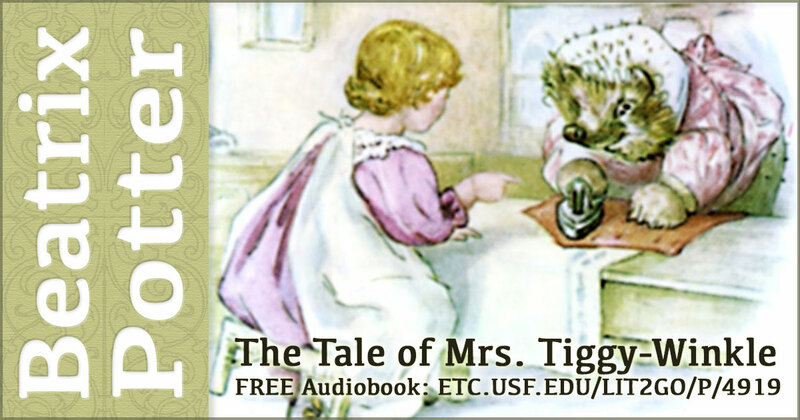 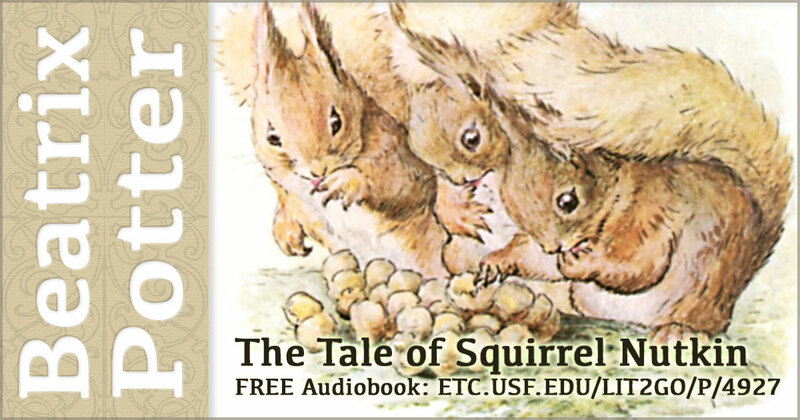 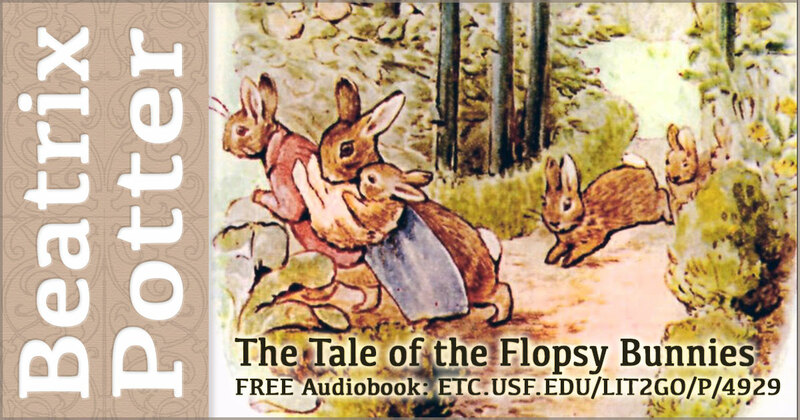 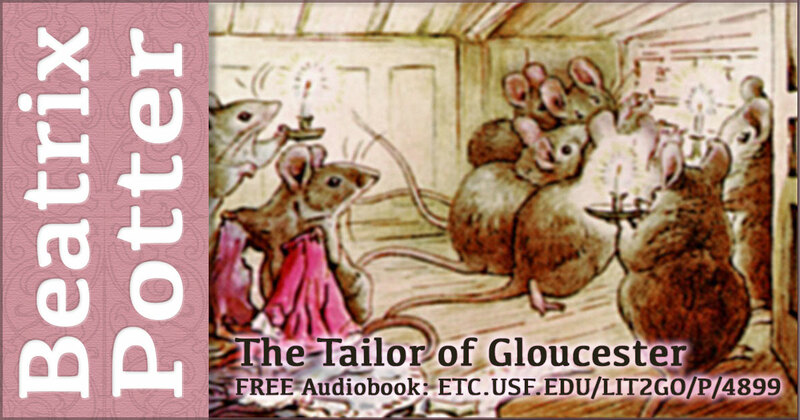 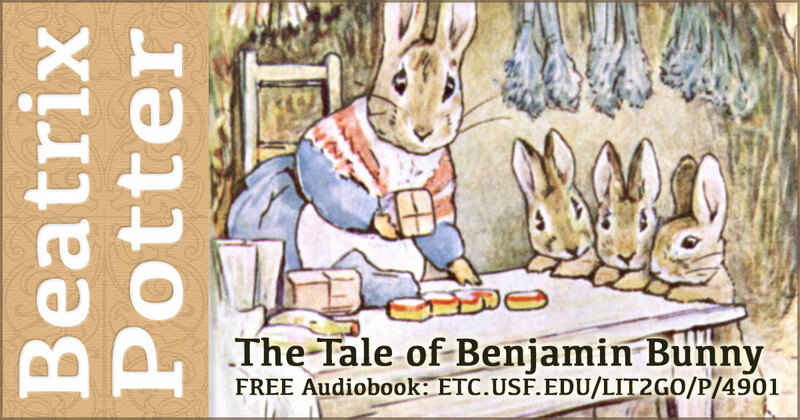 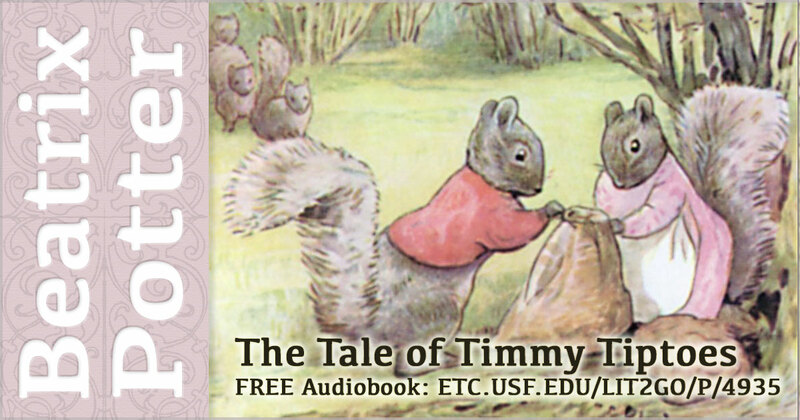 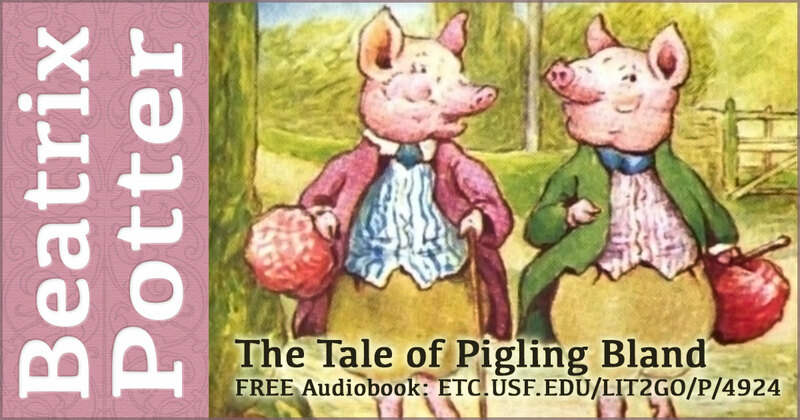 Use this banner on social media to share our collection of 19 Beatrix Potter audiobooks. 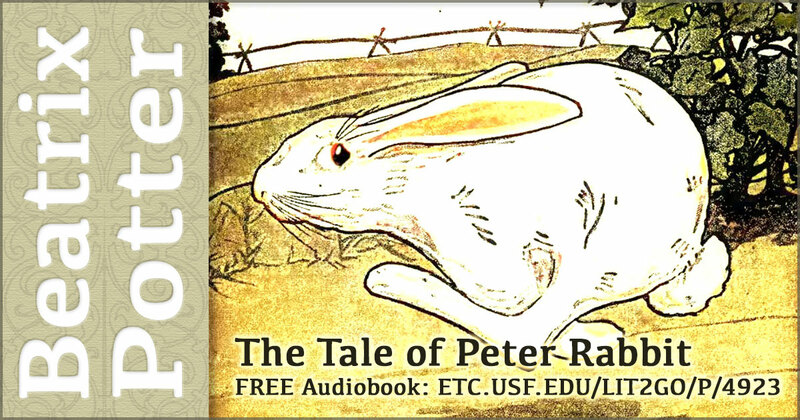 Peter Rabbit defies his mother’s instructions and goes into Mr. McGregor’s garden, where he has to run and hide for his life. 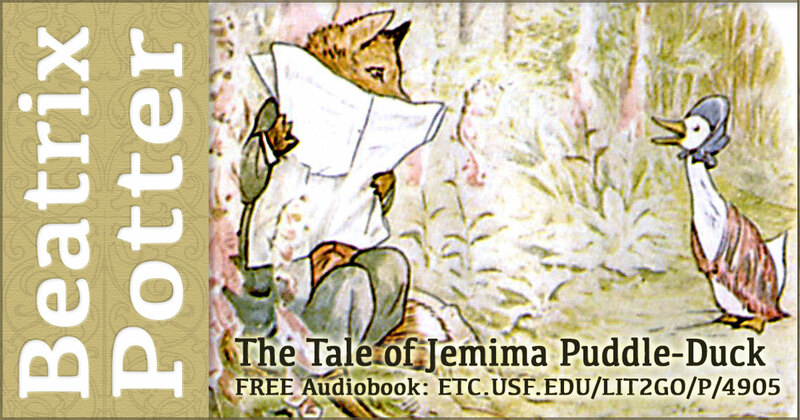 Audiobook and PDF on Lit2Go. 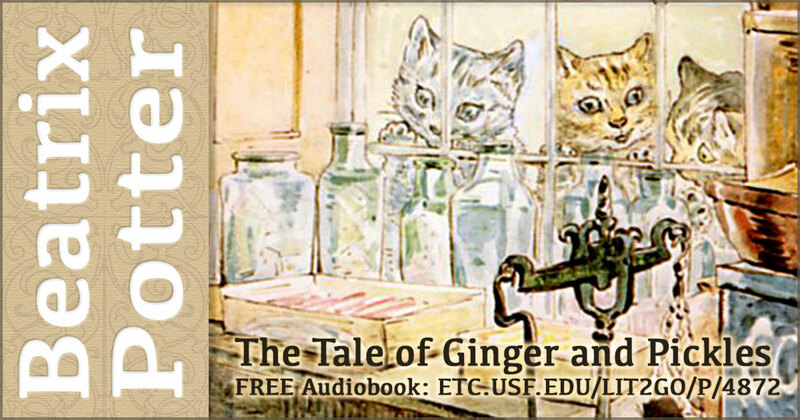 This book tells the story of shopkeepers Ginger, a tom-cat, and Pickles, a Terrier. 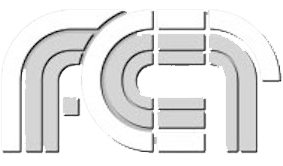 They allow their customers credit and are unable to collect enough to pay the bills and subsequently go out of business. 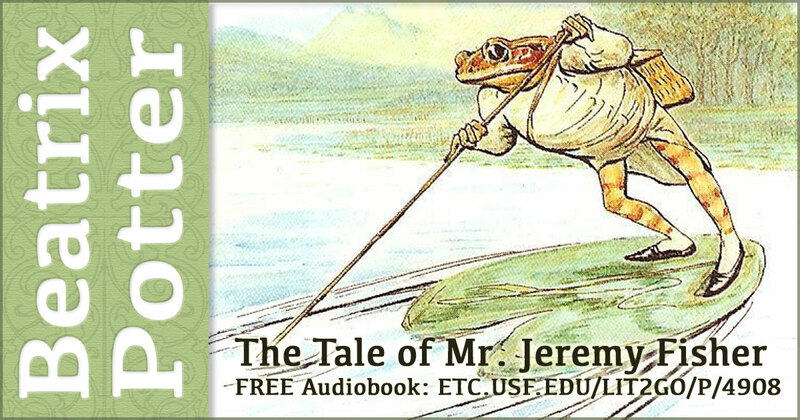 Audiobook and PDF from Lit2Go. 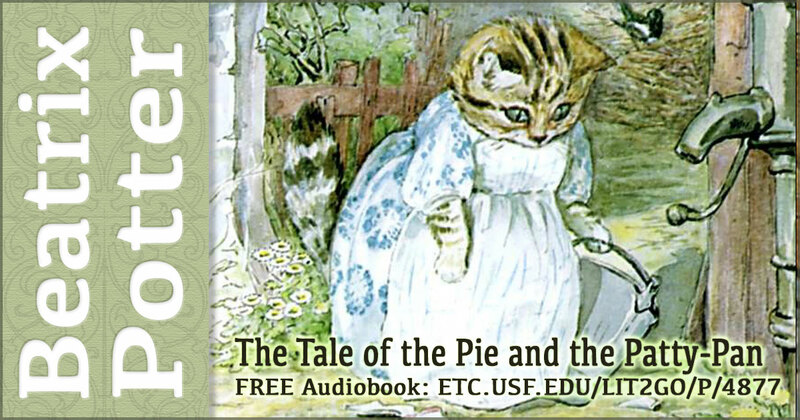 When a little dog named Duchess gets an invitation to tea at the home of Ribby the cat, she becomes dreadfully afraid that Ribby is going to serve her mouse pie. 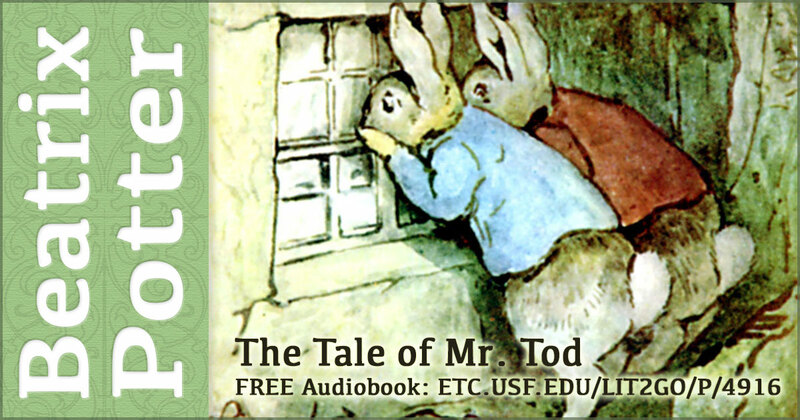 Audiobook and PDF on Lit2Go. 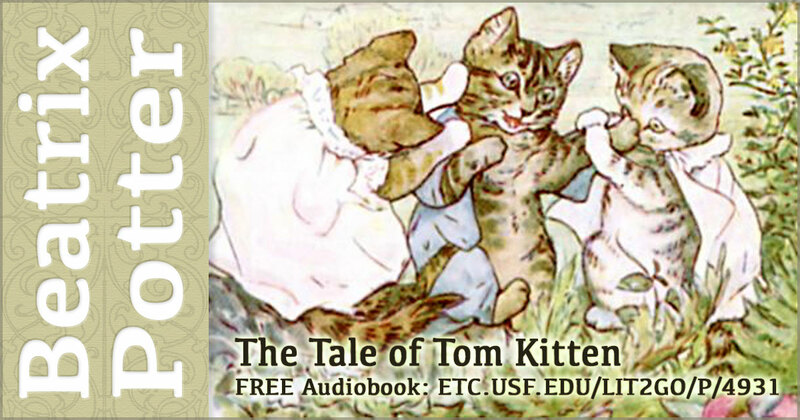 The hero is the young Tom Kitten; other main characters are the rat Mr Samuel Whiskers and his wife Anna Maria, who catch Tom Kitten and almost use him to make a roly-poly pudding. 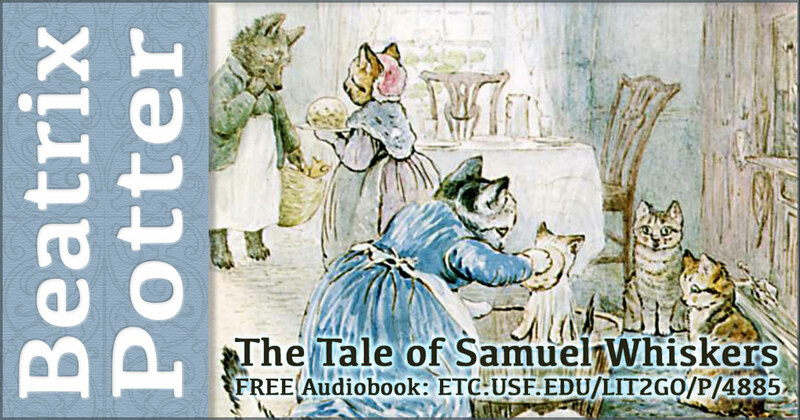 Audiobook and PDF on Lit2Go. 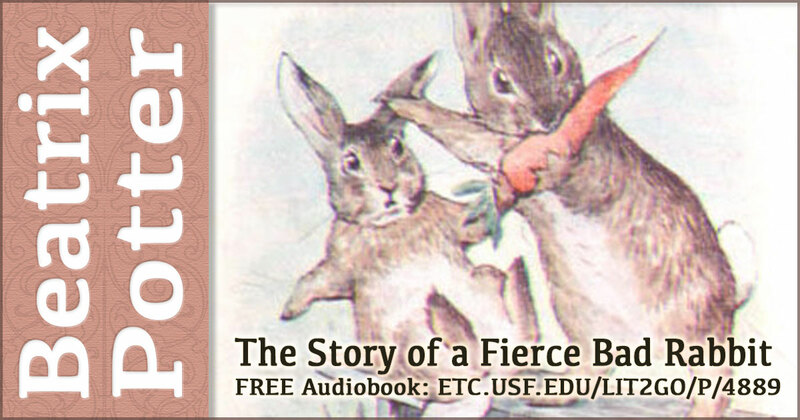 The story of a good rabbit and a very naughty bad one. 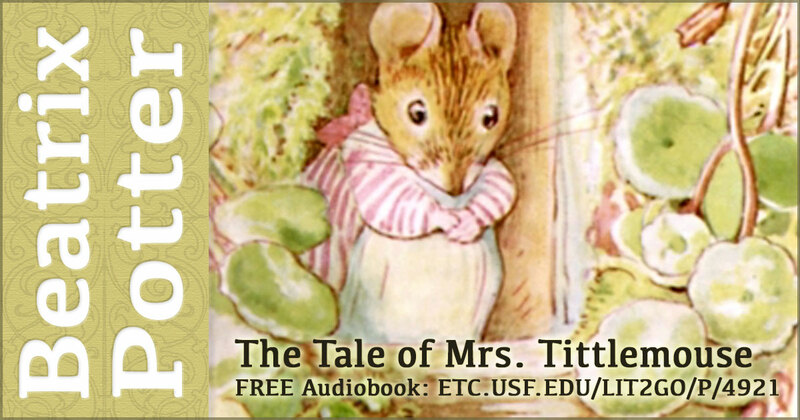 Audiobook and PDF on Lit2Go. 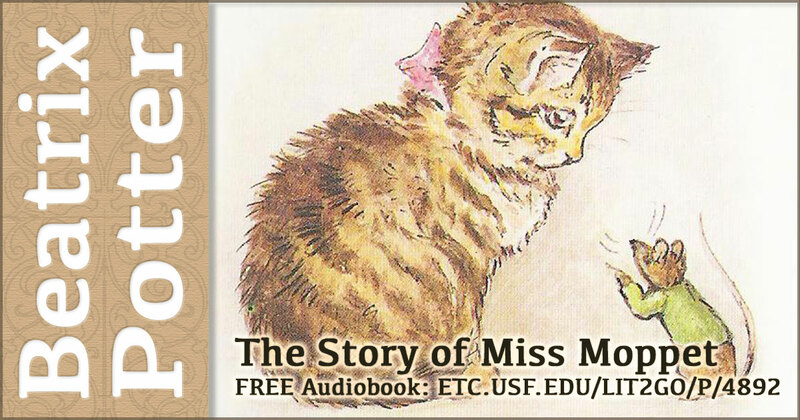 A cat-and-mouse game between Miss Moppet, a cat, and a tiny mischievous mouse. 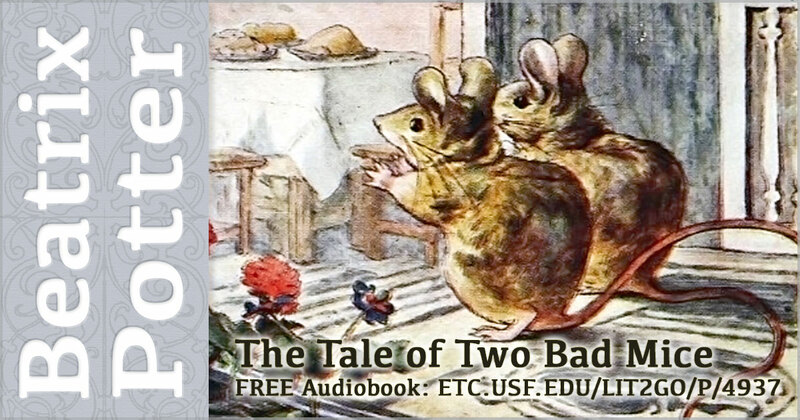 Audiobook and PDF on Lit2Go.